A very important and helpful event will be hosted this week over at the Travis C Kitchen VFW Post 7788 Devon. 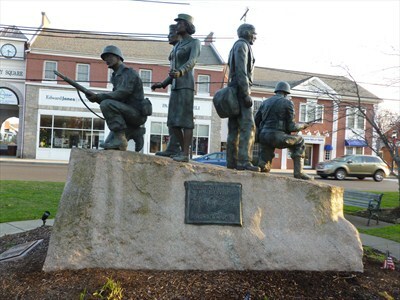 The Milford Delegation (James Maroney-119th, Kim Rose-118th, Paul Davis-117th and Gayle Slossberg-14th) have announced that a Veterans Resource Fair will be held on Tuesday June 24th over at the VFW Post 778 and it will be hosted by several agencies (federal, state and local) to discuss veterans benefits that are currently open to state veterans and their families. The VFW Post 7788 is located at 422 Naugatuck Ave and the Resource Fair will be held between 5:30 to 7:30pm. The event will be free to veterans and their family members! The view the original article on the Veterans Resource Fair, check out the Milford-Orange Bulletin’s piece. In other news relating to the Travis C Kitchen VFW Post 7788 the 118th’s Kim Rose was elected President of the Travis C Kitchen VFW Post 7788 Ladies Auxiliary last week. She noted that the Ladies Auxiliary will be kicking off a Milford Welcomes Veterans discount program and that will be one of their big projects for the year. This entry was posted in News and Events and tagged Connecticut., Devon, Gayle Slossberg, James Maroney, James Maroney-119th, Kim Rose, Ladies Auxiliary, Milford, Milford Delegation, Paul Davis, veterans benefits, Veterans Resource Fair, VFW Post 7788. Bookmark the permalink.